This is a preview of our new white paper on What's New in CA PPM 15.5.0. For the full white paper, click below. CA PPM 15.5.0 enhances the Modern UX while retaining the full power of the Classic UI. If you’d rather watch than read, we have an on-demand webinar for what’s new in the CA PPM 15.5.0 release hosted by Rego PPM experts Sara Garvey and Ross Hensel. Teams and Team-Based Planning allow organizations to conduct resource planning in a more efficient fashion by eliminating the need to plan every task or Project all the way down to the individual resource. Now you can group resources together into Teams and assign them to different Projects. This makes it easier to create cross-functional groups for staffing purposes and keep a bird’s eye view on your resource allocation. A great new add to Blueprints, Channels allow you to link to 5 external locations from within the Modern UX, so you can streamline access to other useful management tools. You can also add Classic UI Channels to your Blueprints. This flexibility makes it possible to manage more of your ecosystem from the Modern UX. We’ve taken Channels to the next level with the Rego Channel Pack, which gives you access to Project-specific tabs in the Classic UI and allows full administration work from the Modern UX. You can read more about the Rego Channel Pack here. 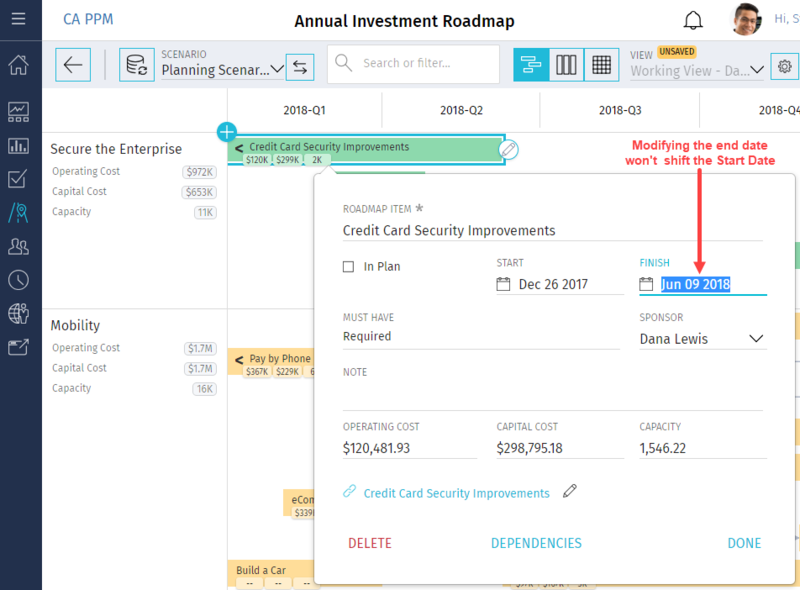 Roadmaps in the Modern UX are one of the industry’s first combinations of visual Roadmapping with Time-Phased Fiscal Period Planning. Other enhancements include multi-column grid sorting and the ability to save grid column widths in your view. We’ve built a Rego Roadmap Printer that plugs into Google Chrome to make it easy for you to generate a PDF and print these roadmaps. Click below for the complete white paper, where we go into more detail and cover all of the improvements and updates.